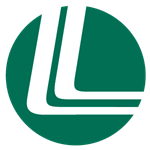 Why Is Lanny D. Levin Agency, Inc. Different | Lanny D. Levin Agency, Inc. Since 1972, this firm has been working with clients to enhance, preserve and transfer their personal and corporate wealth. Management and Staff of LANNY D. LEVIN AGENCY, Inc.
Our goal is to build the same type of mutually beneficial relationship with each new client.